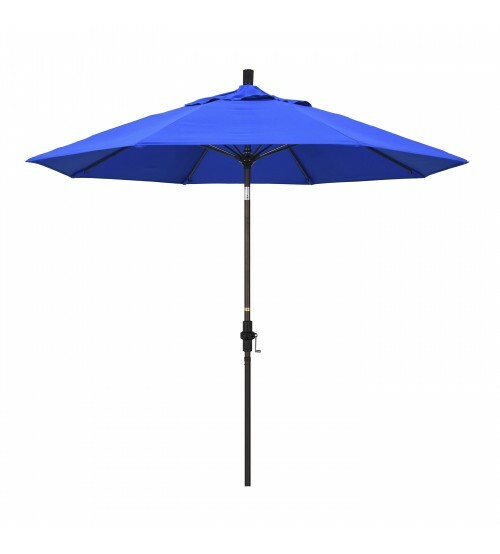 California Umbrella's Sun Master 9' market umbrella comes with fiberglass ribs that will flex and bend on breezy days. This outdoor umbrella is ideal for residential applications. Sun Master Collar Tilt Umbrella is available in 3 beautiful finishes and a wide variety of Sunbrella and Pacifica fabrics. 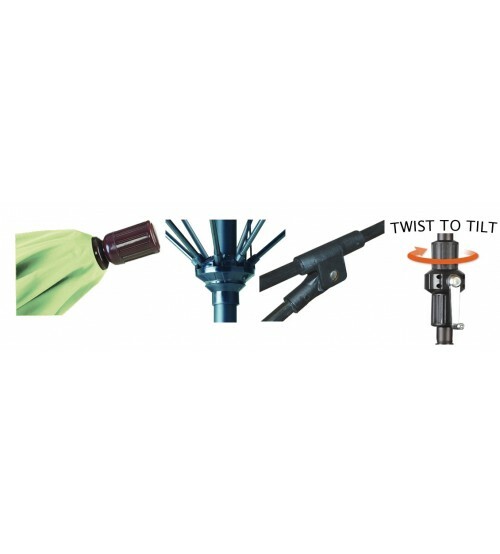 Equipped with the most advanced features found on collar tilt umbrellas, it allows smooth tilting operation up to 30˚ angle. The 9' Patio furniture umbrella comes standard with the most advanced features available on market umbrellas. SHIPPING Most umbrellas ship out in 10 business days. Custom orders ship out in 15 to 25 business days. We have a 72 hour order cancellation policy on custom orders. After 72 hours the order is final.